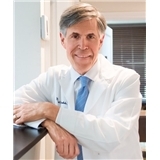 Dr. Michael Krumholz (New York) - Book Appointment Online! We see patients with a wide spectrum of gastrointestinal problems, including swallowing disorders, GE reflux, peptic ulcer disease, colitis, rectal bleeding, diarrhea, constipation, and irritable bowel syndrome. Colon cancer screening with colonoscopy is a large part of our practice. Dr. Krumholz is affiliated with Lenox Hill Hospital and Manhattan Endoscopy Center, where outpatient endoscopic procedures are performed when indicated. Manhattan Endoscopy Center is a state of the art ambulatory endoscopy facility which is now IN NETWORK for ANESTHESIA and FACILITY services with most major insurance plans. Great visit - very good practice!